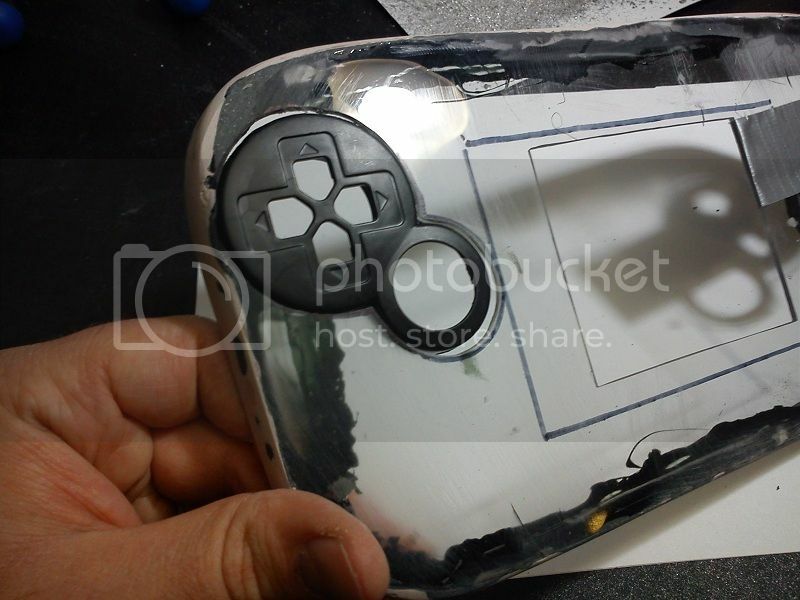 First, cut out the pieces that you plan to use from your controller using your dremel. 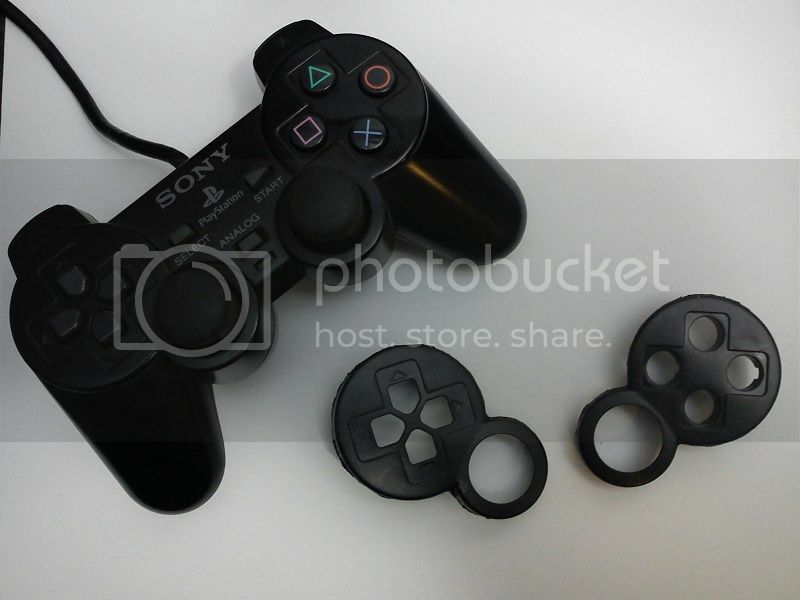 In this case, I've cut out the d-pad, action buttons, and analog stick openings from a PS2 controller. Your cuts don't need to be perfect. In fact, it may be easier leaving the resulting pieces larger than necessary. Make sure there is plenty of room on your case for the new pieces. It's a good idea to stage existing components in place to make sure everything fits. Here I've traced around my screen to make sure the controller doesn't overlap with it when I'm trying to install everything. Decide where you want your controls to go. Now is the time to line everything up as evenly as possible for a symmetrical finish. 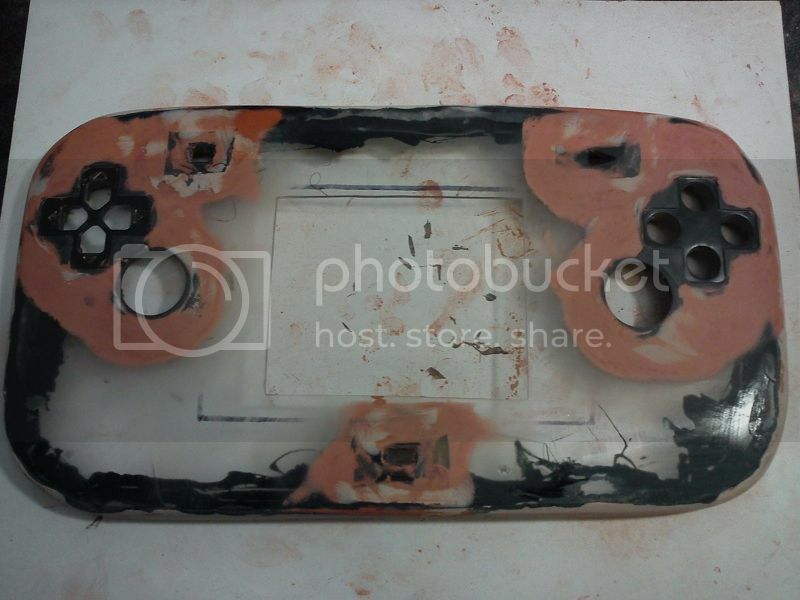 Trace around the controller pieces using a marker or pen, as long as you can easily see the markings and that it doesn't quickly wipe off. Cut out the area that you just traced. For these cuts, I like to start by making a very rough cut using my Dremel's cutting disk, then switch to a sanding barrel attachment to shape the hole. 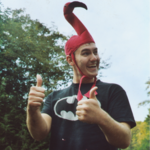 This is one situation where cutting a bit too much isn't necessarily a bad thing. 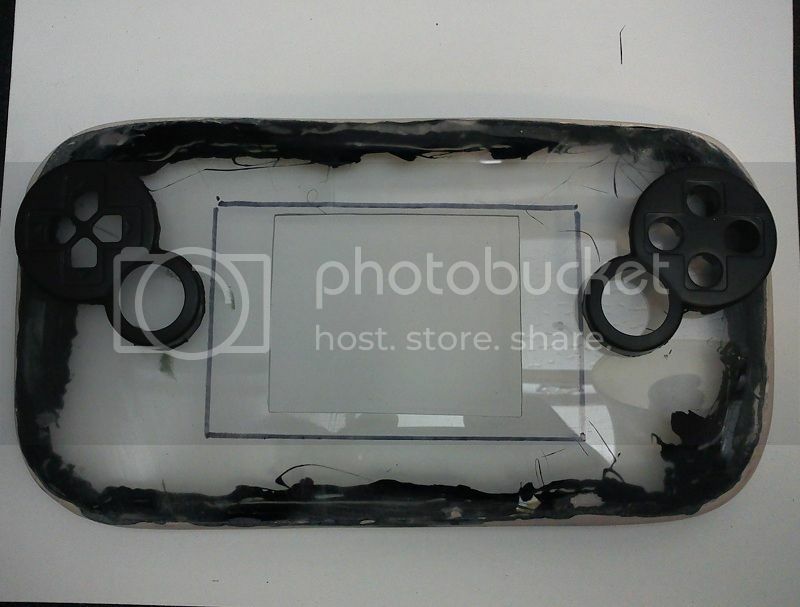 If there are gaps where your controller and case meet, these will be filled in later with epoxy. 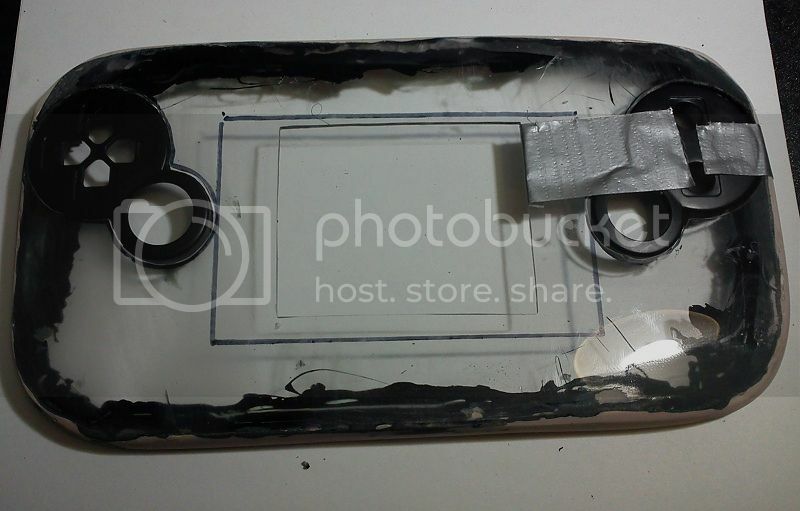 Secure the pieces in the case to prep them for epoxy. As you can see, my d-pad fits snug enough to hold itself in place. The hole that I cut for the action buttons was too large so I had to hold it in place using duct tape. 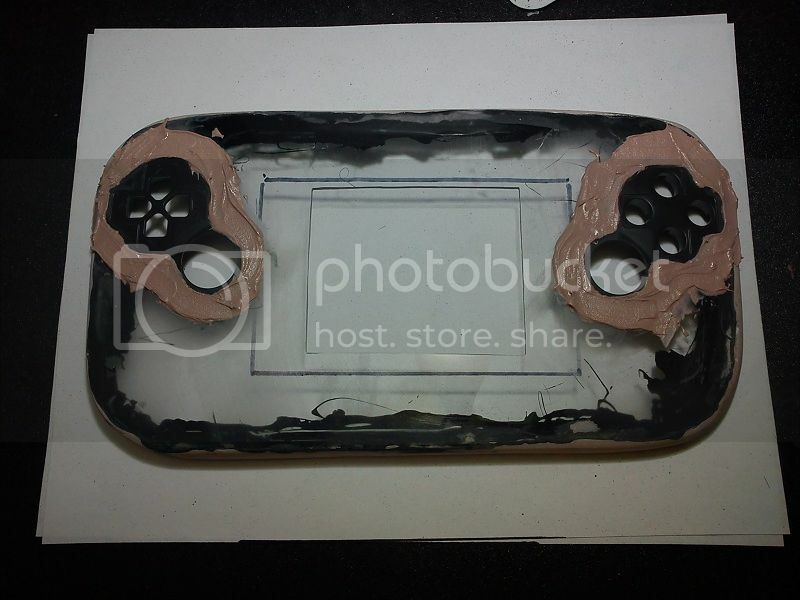 Apply small amounts of epoxy/abs to the area surrounding the controller in order to bond it to your case. Typically I use craft/popsicle sticks to apply filler, but in this case I used a toothpick for more precision. Sand down the filler using a coarse/rough sandpaper. You'll want to keep sanding in order to get rid of any residual raised bumps in the filler. Dips or potholes in the filler are expected and will be filled in during the next step. Remember: the lower the grit rating, the coarser the sandpaper. 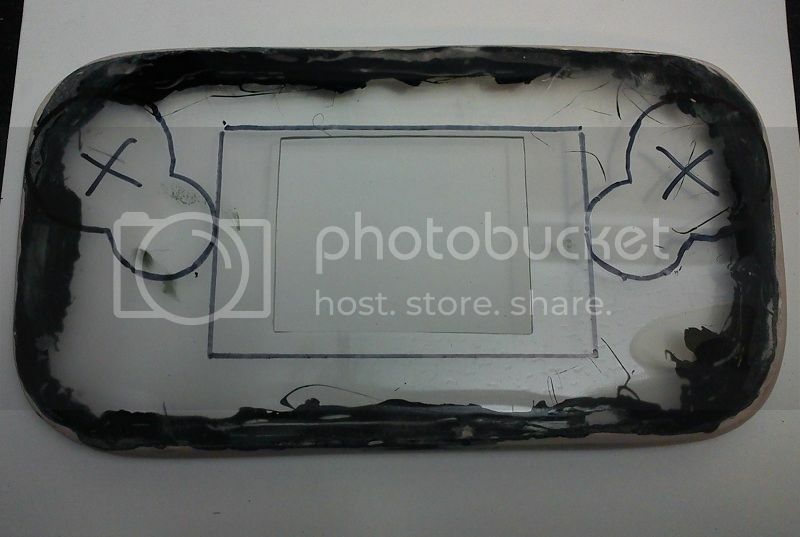 For sanding this melted abs, I used 180 grit. 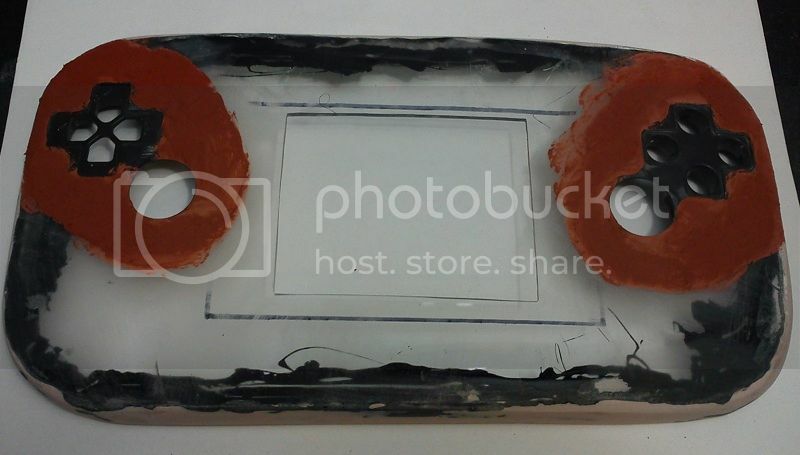 Switching to Bondo, apply a layer over the portion that was sanded in the previous step. This layer doesn't have to be particularly thick, but you want enough to sufficiently fill in any low spots that were previously mentioned. Note: Bondo is simply my preference at this stage in frankencasing because it's hard when cured and I find it easy to sand smooth. 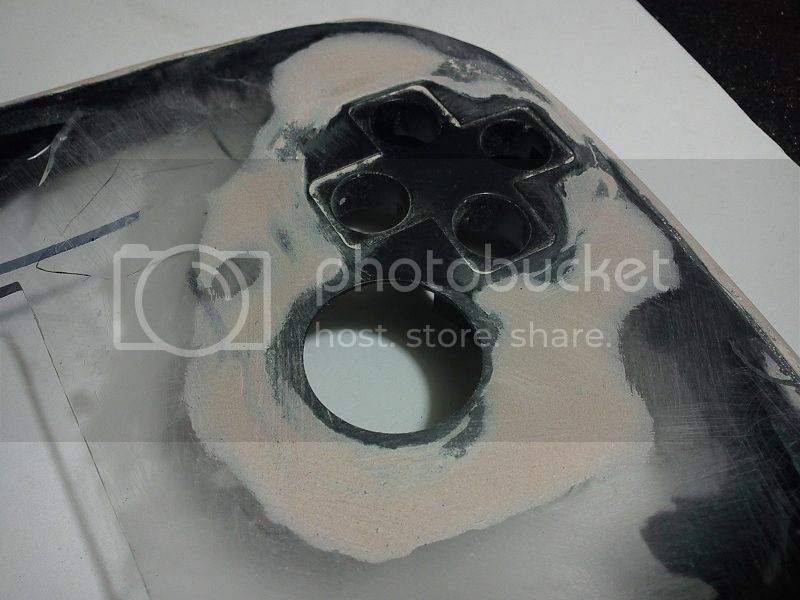 Melted abs, epoxy, epoxy putty, and similar alternatives are equally viable options for this step. Glazing putty is not recommended for this step due to its softness, even in its hardened state. Once the Bondo cures (I generally wait overnight), sand it smooth with a coarse/medium sandpaper. For this step, I still use 180 grit because it's about middle ground between medium and coarse. The end goal is to have all low spots filled in and all high spots from the Bondo sanded down even with the rest of the case. 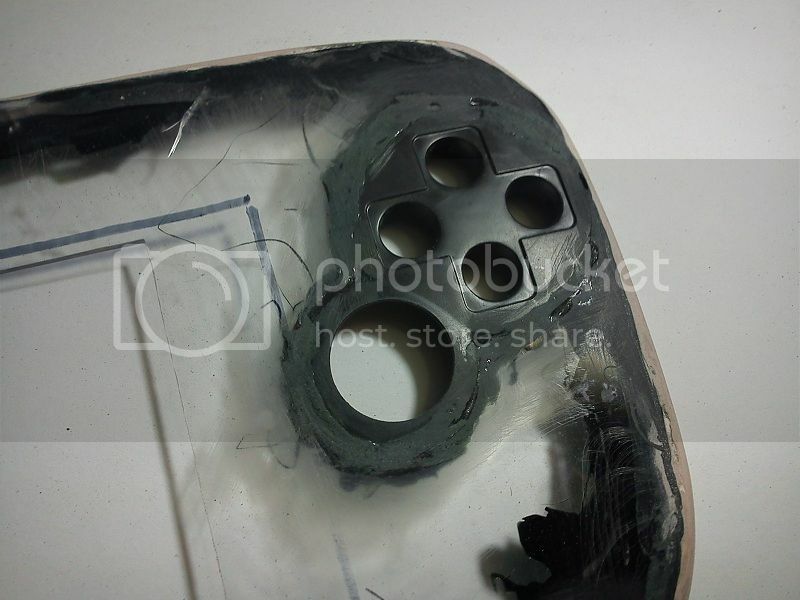 If there are additional low spots, add more Bondo until those spots are even with the rest of the case. If there are high spots, continue sanding. Sanding with rough paper will leave small grooves in the case and the Bondo. Cover the areas that you've sanded (Bondo and case) with a layer of glazing putty. 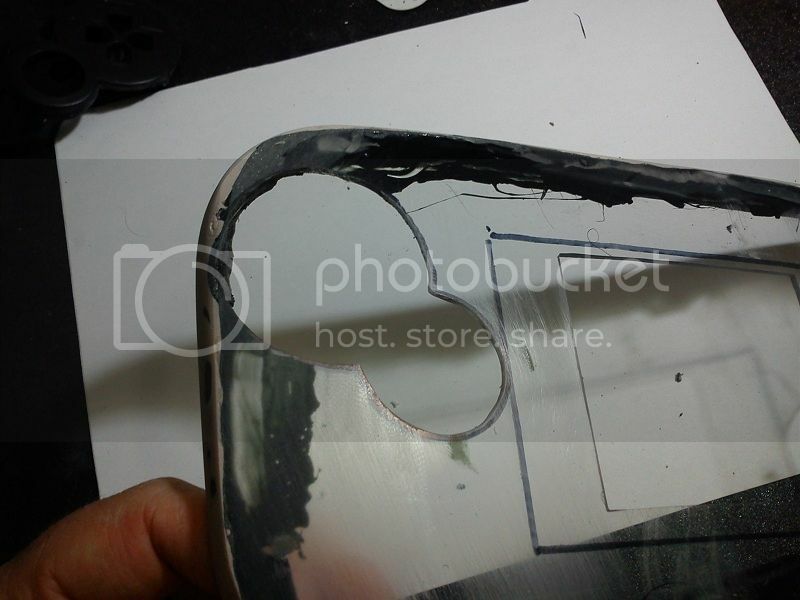 This will also help eliminate hairline cracks on your case by creating a smooth transition between the layer of Bondo and the original plastic from the case. My preferred method for applyin glazing putty is to spread it on with my fingers while wearing rubber gloves. Switch to a higher grit sandpaper in order to sand down the glazing putty. I typically use 320 grit, but higher grit values are recommended for an extremely smooth finish. 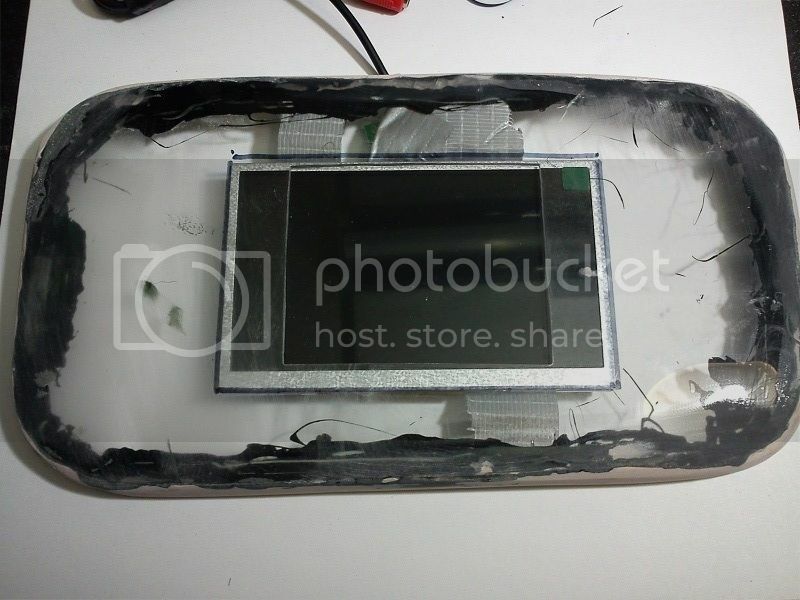 When sanding, pay special attention to where the putty meets the case. Rub your finger over it; if you can feel the transition between the two elements, the putty needs to be sanded more. Glazing putty is very soft, even when hardened, so I don't apply a lot of force when sanding it. Basically, I use just enough force to keep the paper pressed to the putty, then let the paper do all the work. Once you feel that your case is perfectly smooth, you're ready to prime it. When priming, you don't have to worry about complete coverage. 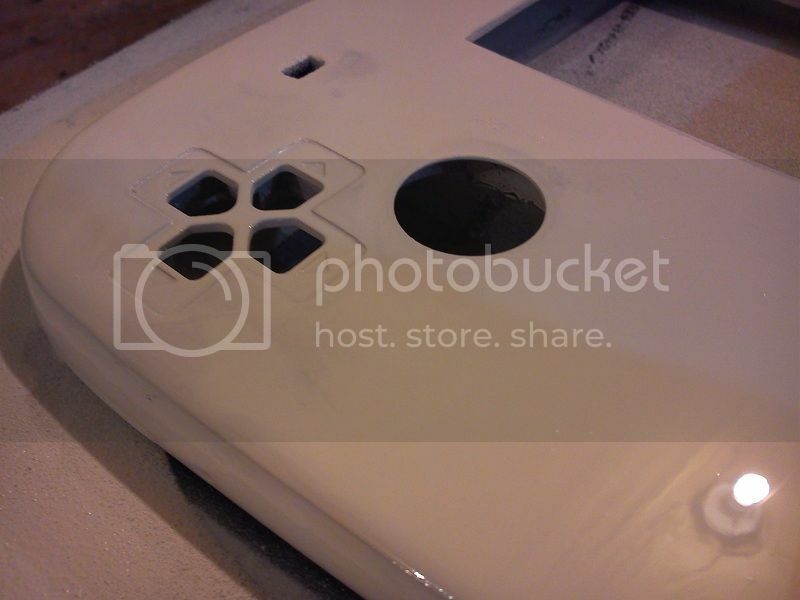 After just one coat, the primer will help you identify spots on the case that need filled in again or sanded down further. If you find any such spots, sand down the primer using fine-grit paper, fill and sand as necessary, then repeat the priming process. 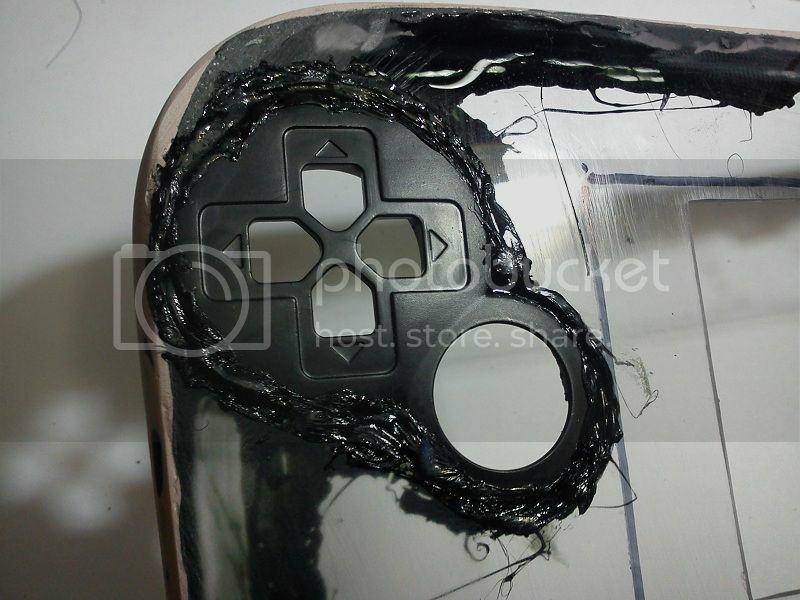 Once finished, you should have a case that's free of seams or cracks and ready for paint.